I made a trial Thanksgiving dinner the other night and am so happy with the recipe I came up with for this Brown Butter Sage Butternut Squash. Try saying that 5 times fast! I love candied yams, but since starting the Specific Carbohydrate Diet, gave up potatoes along with the grains. As I've been planning my Thanksgiving menu, I wanted to have a dish that resembled the rich sweetness of the perennial Thanksgiving favorite. While there aren't melted marshmallows on top, this dish is every bit as sweet without the refined sugar and starches. Butternut squash is a delectable and accessible Fall and Winter vegetable, so feel free to make this as a side with any meal! No need to wait until Thanksgiving. Peel, seed, and dice the butternut squash. You can follow my tutorial here. 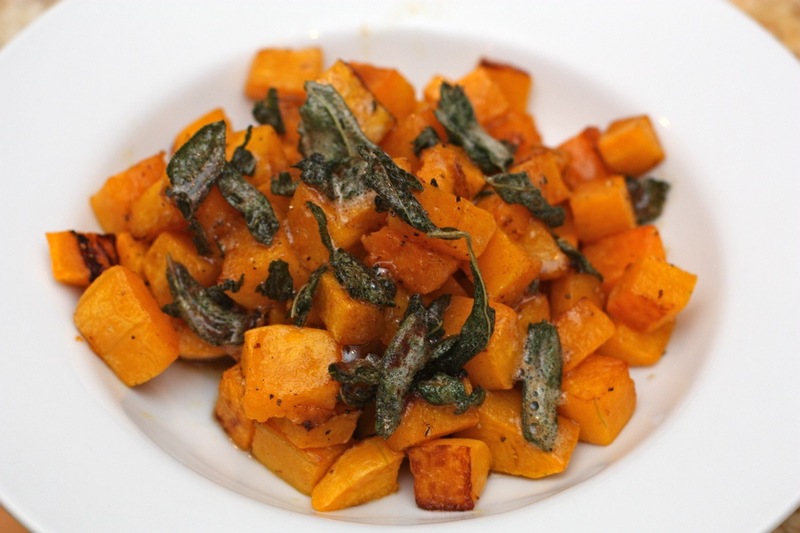 Toss the butternut squash in olive oil, salt, and pepper. Spread it evenly on a cookie sheet. 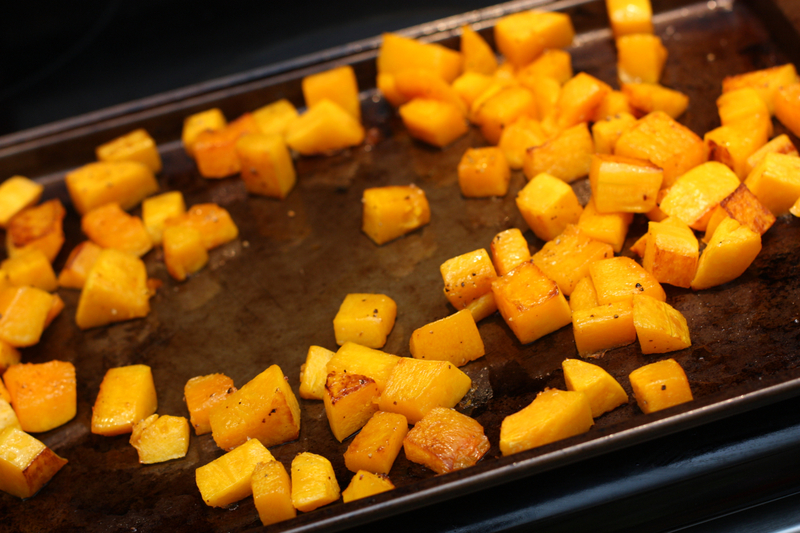 Roast the squash, tossing occasionally, until tender and slightly browned, about 20 minutes. 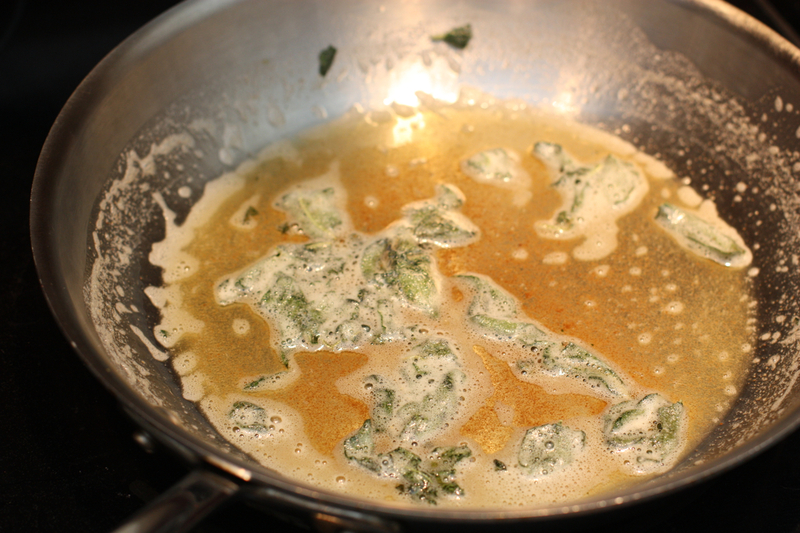 Heat the butter and sage leaves over medium-high heat, swirling it around the pan every couple of minutes. Once the butter foams up and starts browning, remove from heat. You want it to be a light amber color, but not burned. Add the maple syrup and cinnamon, then pour the butter sauce over the squash. Adjust the salt and pepper to your liking.